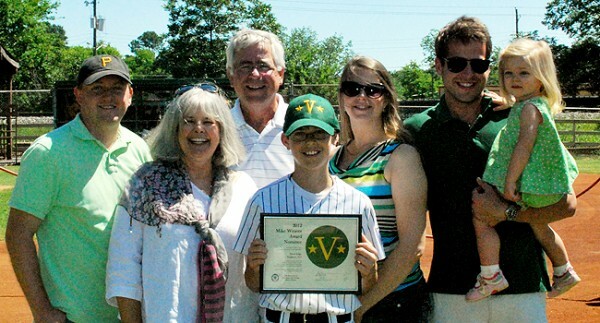 A middle schooler from Monroe County was named the 2012 Mike Weaver Award winner on Saturday in a ceremony at Vine Ingle Little League. Drew is a member of the Yankees and wears jersey number 10. He is the ninth winner of the Mike Weaver Award. From left to right, the 2012 nominees were: Jake Jamison (Orioles), Kevin Gibson (A’s), Wilson Andress (Pirates), Ashby Reed (Astros), Drew Edge (Yankees), Jackson Fillingim (Reds), Brandon Paxton (Giants), Benjamin Thigpen (Dodgers) and Sammy Martin (Royals). The award was presented in beautiful weather, high in the 80s with clear skies. The award was presented by Bill Weaver, Mike’s father. Also present for the award were Mike’s mother, Erin; his brother Dan; and his sister Molly, her husband Brad and their daughter Mary Michael. Bill Adams, who supervises the selection process at Vine Ingle, introduced the Weavers, and his son Stephen — who was a good friend of Mike’s — presented Drew Edge with his hat, which bears the same *V* symbol that has come to represent the Mike Weaver Award. 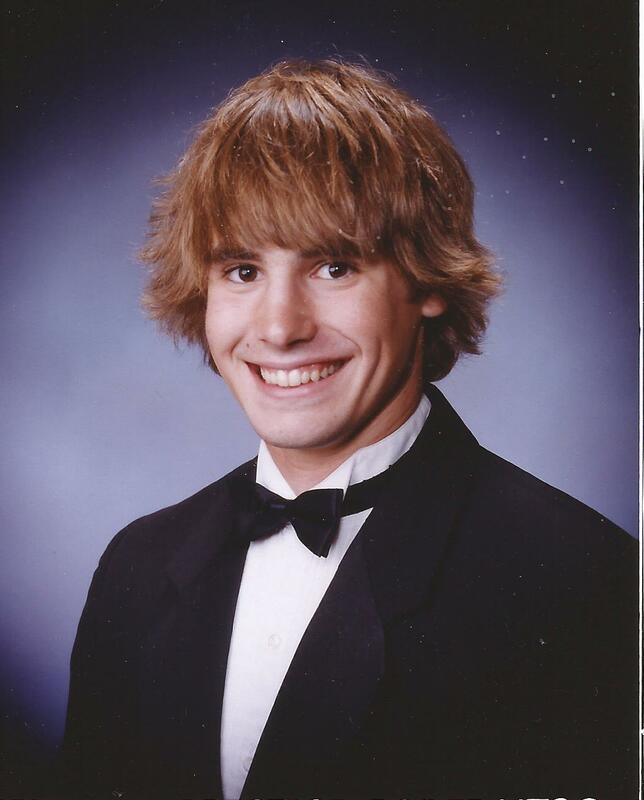 As winner of the award, Drew and three of his family members or friends receive tickets to an Atlanta Braves home game. The group also receives a night’s stay at a hotel, a tour of Turner Field, a meal at the 755 Club at the stadium and tickets to Six Flags Over Georgia, plus a commemorative plaque and cash for souvenirs. Some of Mike’s good friends were present for the award today, including Stephen Adams, Adam Dukes, Rachel Phillips and Chandler Penn. Also, Will Argo was present from the Bon Hommes organization, which sponsors a fund-raising golf tournament that helps support the costs of the award, as well as the Mike Weaver Foundation. Three former winners of the Mike Weaver Award were present for the 2012 ceremony. 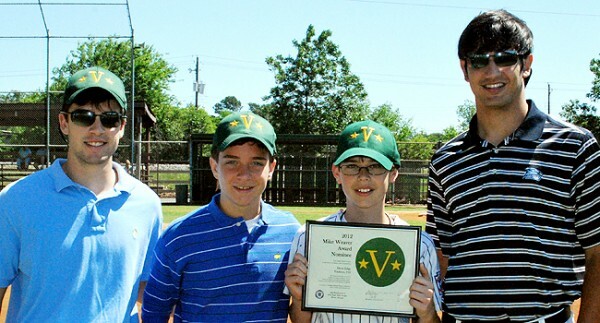 From left, Brannon Hicks (2006), Wade Snow (2011), Drew Edge (2012) and Matthew Maier (2005). The Weavers and the new award winner, from left: Brad Patterson, Erin Weaver, Bill Weaver, Drew Edge, Molly Weaver Patterson, Dan Weaver and Mary Michael Patterson.